One of the most popular questions that we receive is “What are the best ways to discipline my team?”. This article is about the #1 tool that I use with my teams – and it can be also used as a reward!!! 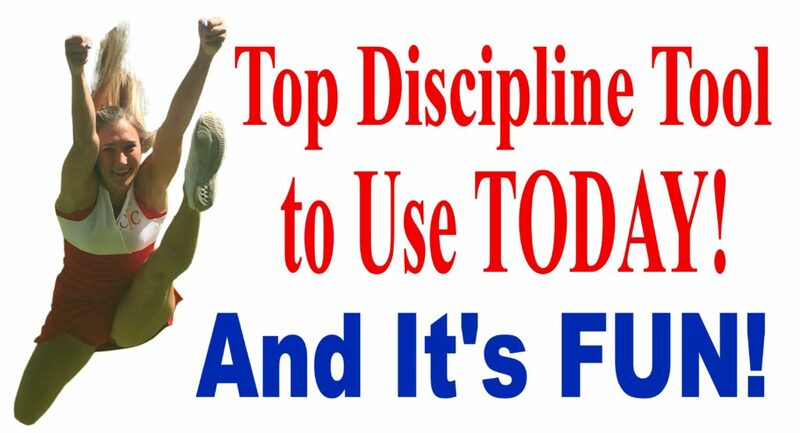 For more discipline ideas, click on How to Discipline Your Team HERE. 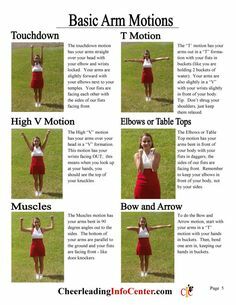 Since 1994, I have run my after school cheerleading company here is South Florida where we have had over 45,000 cheerleaders in our programs with hundreds of coaches and this is our #1 tool that we use for discipline – Cheer Money! OMG, this will be your new best friend! Cheer money comes in 4 denominations: 1, 5, 10 and 20 dollar bills. 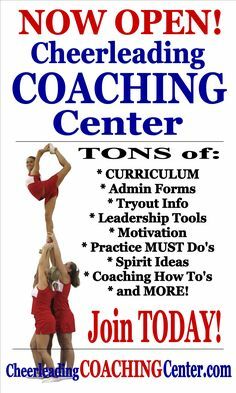 We pass out cheer money to our cheerleaders for great behavior like practicing, helping others, listening to your coach, great grades etc. 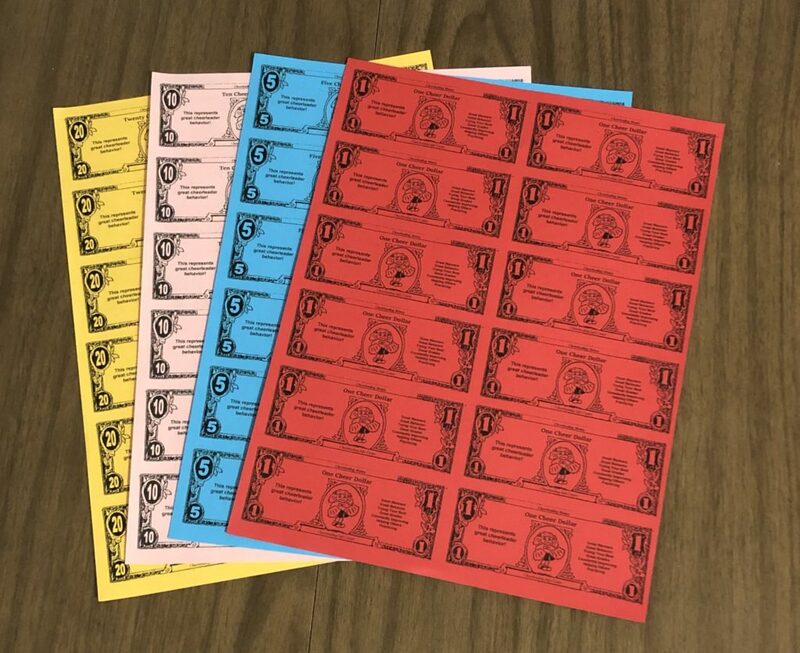 Also, we will let the girls know if they complete a skill that practice like a new stunt or finish a new cheer, we will give them each a 20 cheer dollar bill as an incentive. 5 cheer dollars to everyone that was at practice and did a good job. Extra cheer dollars to those who went above and beyond or incentive cheer money. For the discipline part, we will tell the girls that we will not give out cheer money or take some away if they misbehave. 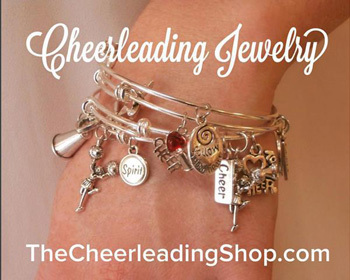 So, why do your cheerleaders want cheer money? Great question! At the end of our season, I purchase fun little items for our “Cheer Store” that the girls can shop at only using cheer money. We stock the “store” with candy, small toys from Party City, Walmart and Oriental Trader. Remind your girls, the more money they EARN the more they will have to shop! 1. 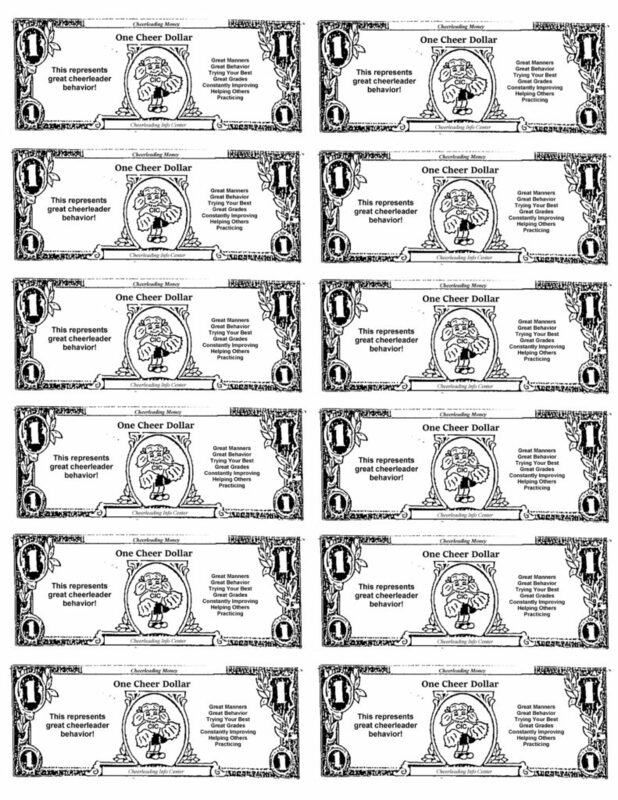 CLICK HERE to print out full sheet of the all of the cheer money 1 Dollar bills. 3. Cut the cheer money into small bills to pass out to your cheerleaders. 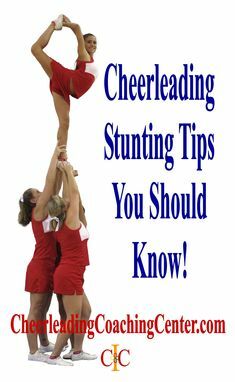 Let us know how cheer money works for you and have fun with it and enjoy!